Pumping of clean or slightly contaminated media, neutralised degreasing and phosphate solutions, rinsing water with detergents, water-based paints etc. 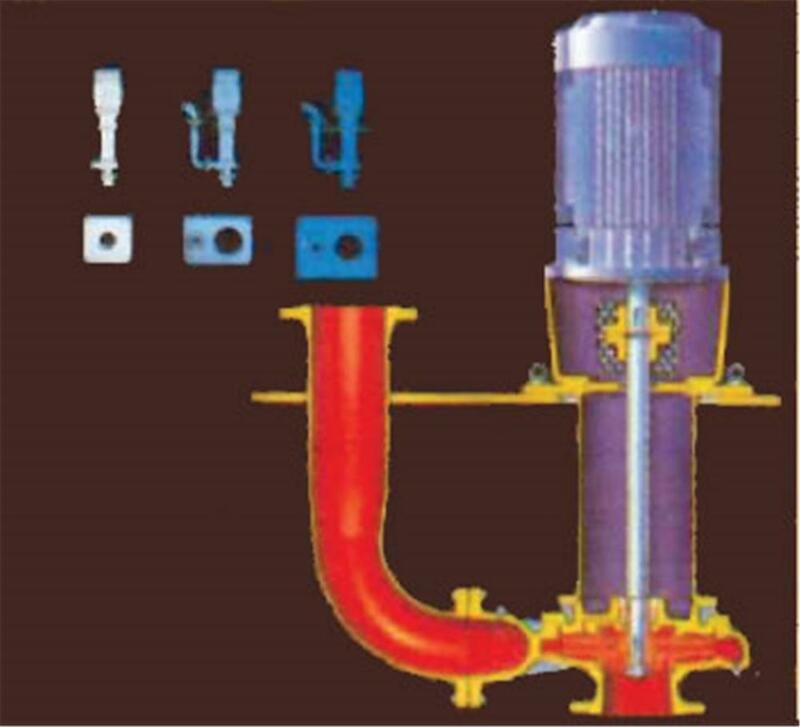 Liquids with abrasive particles can be pumped, paticle size depending on pump frame and impeller design. All pumps type KdK cab be supplied for 50 and 60 Hz speeds. The impeller must always be flooded, i.e. situated below the minimum water level. Single stage non-self-priming volute casing APE centrifugal pump, principal dimentions and performance to DIN 24255, in vertical close-coupled version for fitting into tanks and sumps. Output Q up to 600 m3/hr Heads H up to 110 metres Temperature t - 20°C up to +100°C Differential pressure p up to 10 bar Speed n up to 3500 RPM Branch sizes NW 32 n.b. up to 150 n.b. By means of a moulded "V" - ring. The drive shaft is supported at the top end by the motor ball bearing and at the bottom end in asleeve bearing lubricated by the liquid pumped via internal bypass. If necessary, a special wear resisting bearing can be fitted as an optional extra. 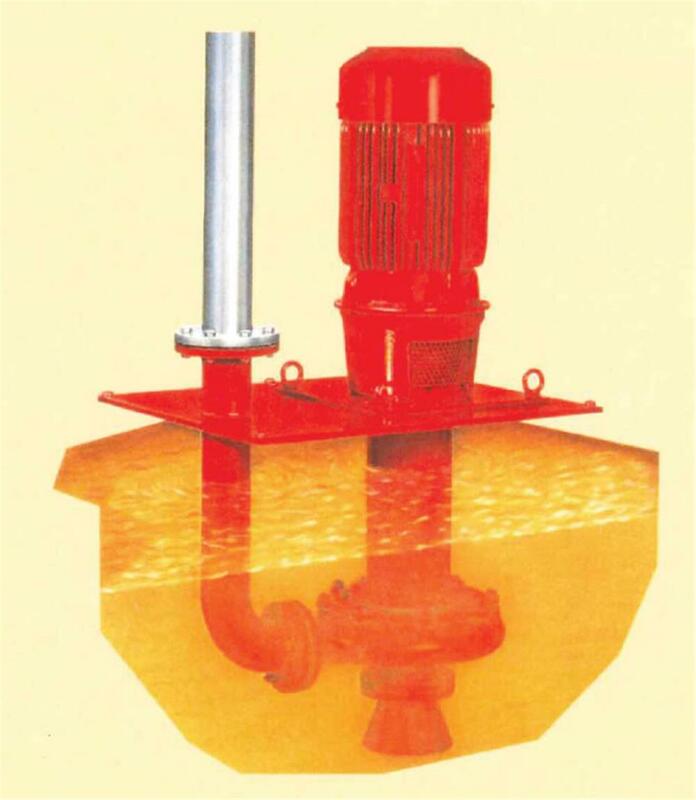 The standard construction pump is fitted with a double shrouded radial impeller but other types such as Vortex impellers are available on request. Axial suction branch, radial delivery branch (type VdK 1 without delivery pipework). The VdK 2 and VdK 4 completewith vertical delivery pipework above baseplate level with optional 90° bend. The position of the discharge branch can be rotated in 90° steps in relation to the baseplate. Therefore the arrangement can be modified to suit individual circumstances. To DIN 2501 Sheet 1 NP 10-BS 4504 NP10. Clockwise looking from motor towards pump. V1 vertical flange mounted motor.